Can Harry Kane's injury work in Son Heung-Min's favour? The dark clouds contained a silver lining for Tottenham Hotspur on Tuesday night. Their moment of sheer horror upon seeing Harry Kane limp off was replaced with joyful exuberance. One closed door opened up another one when Son Heung-Min produced magic out of nothing. Indeed, it’s not even a coincidence his performance-level spiked after his captain left the field. 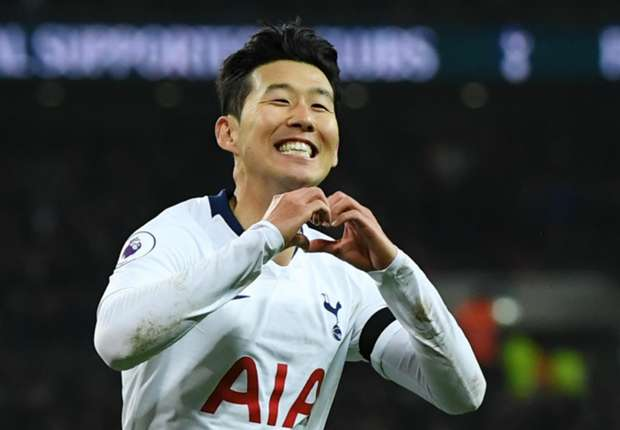 The South Korean’s threat was neutralised throughout, yet he displayed stunning persistence to weave into the box and give Spurs the advantage heading into the second leg of the Champions League quarter-finals. He loves the new Tottenham Hotspur stadium, having netted two in two starts. Filling Kane’s boots is no mean feat. However, the wily Asian’s thrived in his shoes, replicating the England star’s heroics with inspired work in the final third. Not only does he add a dynamic presence while leading the Lilywhites line, but he’s also encouraged to wander into more goal-scoring position as well as take risks more often. Even though he arrived at North London as a tricky, hard-working winger, he’s transcended into attaining some striker’s instincts in recent years. By having to play as the leading striker for his national team’s definitely helped. Mauricio Pochettino noticed Son’s ability as a striker and during the England star’s 40-day absence earlier this year, handed him the honour of leading the Lilywhites attack. Unlike Fernando Llorente, who crumbled under pressure when finally given his chance to shine, Son actually soared at it. In no ways, a conventional centre-forward, yet his clever off-the-ball movement, ability to run at defences and clinical aspects’ align with Pochettino’s system. Unlike a few years back- when he struggled to adapt to the Premier League’s intensity- he’s now stronger, more wilfully contributing towards the cause. So when it came to unshackling his responsibilities and dictating Spurs’ attack from a more central role, the South Korean latched onto it like a hungry lion on a deer. While he might seem menacing as a wing forward, having scored eight goals prior to his positional shift, he's much more dangerous in the number nine role. Out of 18 goals Heung-Min Son scored for Tottenham this season, 10 have happened when Harry Kane wasn't on the pitch. It seems like Spurs have someone to pull forward even when their main striker is out of play! He scored four in four during Kane’s absence, mostly operating in a centre-forward role. While most goals result from gracious finishes, Son’s sweet header against Borussia Dortmund proved his predatorial instincts. Even against Newcastle United, against whom he started as a left-winger, he came his own after moving centrally, scoring a fortunate goal. Without their shining star, Pochettino’s system’s often shifted from a 3 line attack to a two-man strike force. However, one player who’s remained a regular is Spurs' happy #7. It’s no coincidence that after the Lilywhites captain returned, they went on a barren winless run for five matches. It’s also telling the South Korean was influential in returning to winning ways against Crystal Palace, scoring his thirteenth league goal and first in what's turning out as the new home he loves operating from. While Kane’s anything but a bad omen for Pochettino’s side, their shocking drop in form was due to the failure in adapting to the transition in attacking style. However, Son’s now again set to lead the charge again for the Lilywhites. By being a menacing little fellow in the final third, he allows his teammates freedom in moving into threatening positions. Yet when going forward himself, he’s cunning with his positioning. In that regard, he’s quite like his captain, maintaining complete influence over starting and finishing attacks. If Spurs are to guarantee a podium finish in the league or defeat the Manchester City odds next week, they need their Asian sensation to have his weapons firing. He’ll be expected to keep on blasting goals and climb the goal-scoring charts to end Kane's dominance. Doing so can exponentially help his chances of being the Lilywhites’ player of the year. It’s high time the shy Korean start asserting his dominance. No longer does he have to be second-in-command to Kane. It’s high time Son moved out of his shadow, take complete authority and prove why Tottenham Hotspur are anything but a “one-man” team. A freelance writer who loves all things football. Writing about the beautiful game has been a passion of mine for years now and discussing the fine things about it is something I admire. A Manchester United fan for over a decade and an admirer of the English Premier League and Italian Serie A in particular. Also a discreet movie critic on the sidelines and occasional gamer.